feh is a noun AND a verb – Hi, I'm Caroline. Shop-related announcement: I’m finally going to start keeping a selection of prints in stock, which means faster shipping times for my customers! To start with, most prints in 4×6 or 5×7 sizes will ship the next day (and this applies to both shops, calobee and sixhours). Pretty soon I’ll have larger sizes ready to go as well. I’m not feeling particularly inspired lately, in the way of blogging or anything else. I’ve been bombarded with projects at work, T & I are researching some exciting home renovations (new floors! ), and I’m otherwise absorbed in friends and books and trying to ignore the fact that it’s still winter. A particularly emphatic “FEH” to that last part. I set up a quick still life shoot yesterday, just to say I’ve done something in the way of photography this month. I still have yet to play with the clocks, but I’d like to pick up some new photo shoot clothes first… this means thrift shopping, which means going out in the cold, and see the part above, about FEH? Yeah. Feh. What’s even more feh is that, at some point in the last few days, I bit my tongue really hard, and I don’t even remember doing it! All I know is, two days ago I woke up with an incredibly sore and swollen tongue with a bite mark on it that hurts any time it grazes my teeth (which, as you can probably guess, is quite often! Being that they’re both in the same general vicinity of my mouth!). Eating? Not so enjoyable. Talking? Even worse (and when I do, I’m forced to lisp). So between turning down offers of chocolate and making a concentrated effort not to talk too much, Tim is wondering who abducted his real wife and put this strange, lisping alien in her place. Despite the amount of feh I’m experiencing right now, I’m quite excited about the Maine Etsy meet-up in Portland next weekend! I’m looking forward to meeting some of my fellow Maine Etsians in person, and as a bonus, I get to spend time with Danielle and Susan. The three of us are making a mini road trip of it. I’m also doing trades with a couple people, and bringing some prints along to show off… it should be a fun time! I can’t wait either Caroline!!!!! Is this your photo of apples? If it had been on etsy when I did my ode to apples treasury, yours surely would have been included! Love this image! Funny…I was just going to say that Michelle would like the apples…hmmmm…how does she always get to the blogs before me? An Etsy meet-up sounds fun. Maybe I’ll see if any of the Central Oregon Etsians are up for a meet! Awwww…thanks for linking to my Etsy. Now I’m wishing I was still coming with! i have to get myself some business cards, and i too, am very excited about it! 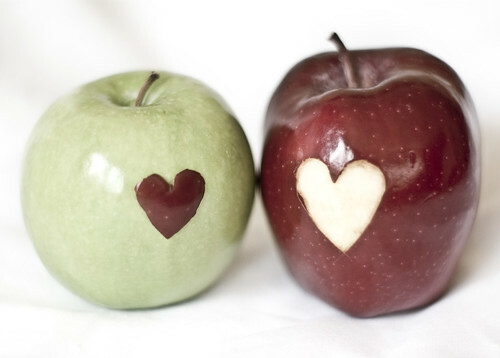 also, i love the apple picture!